This Pinot Nero flourishes in the vineyards around Mazzon. 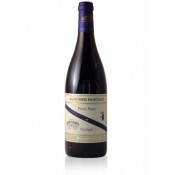 These hills, with particular conglomerate soils of loam, chalk, and porphyry and the very well-suited climate, form the ideal conditions for producing a Pinot Nero of international stature. 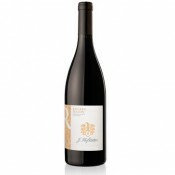 It is a wine of totally harmonious style, velvety, elegant and with a clearly fruity character. The color varies from ruby red to garnet red. 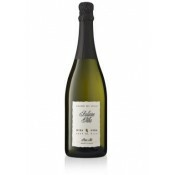 The bouquet is typically of berries and sour cherries, mature and seductive. 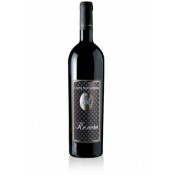 The flavor is harmonious, soft, full-bodied with rich fruit. Red meats, lamb, fowl, and game. Serve at 16-18 degree centigrade (61-64 degrees Fahrenheit) in a transparent crystal, plain and colorless glass. 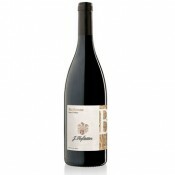 The bottles should be placed in a horizontal position in the cool, dark and humid cellar. It has an ideal aging capacity (8-10 years).